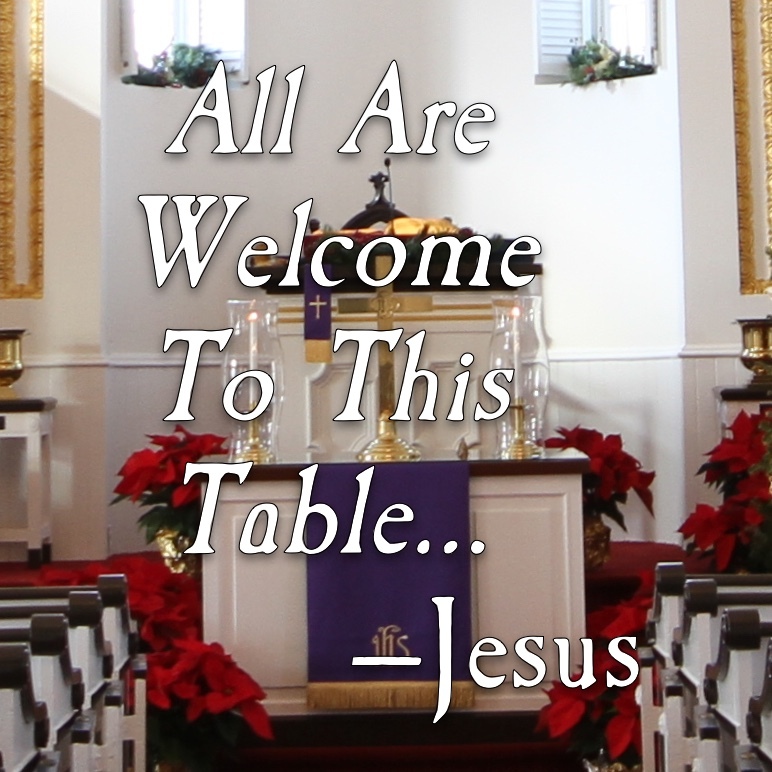 Every first Sunday of the month all are welcomed by Jesus Christ to gather and celebrate around the Lord’s Table. “Are you tired? Worn out? 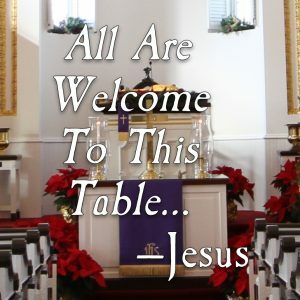 Burned out on religion? Come to me. Get away with me and you’ll recover your life. I’ll show you how to take a real rest. Walk with me and work with me—watch how I do it. Learn the unforced rhythms of grace. I won’t lay anything heavy or ill-fitting on you. Keep company with me and you’ll learn to live freely and lightly” (Matthew 11:28-30 The Message).